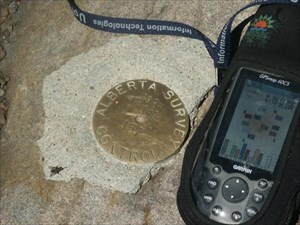 Found this one at an elevation of 2358m after a 623m ascent of Raspberry Ridge. Cap is nice and easy to find once you get there! The GPSr at the targetWhat a great place to hike to.